I have taught in the Department of English at Yale University since 2000. Before that, I studied at Harvard University (A.B. ), Cambridge University (M. Phil. 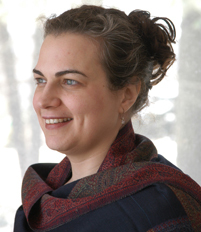 ), and UCLA (Ph.D.). My interests include Old and Middle English literatures, manuscript studies, text/image relations, and the history of the book. I teach both undergraduate and graduate courses in all of these subjects, and I am currently the Director of Undergraduate Studies for the English Department, as well as Chair of the Program in Medieval Studies. My research examines the cultures of medieval reading as they are preserved in manuscripts. My first book, Reading in the Wilderness: Private Devotion and Public Performance in Late Medieval England (Chicago, 2007), shows that the format of a late-medieval miscellany reveals surprising connections between the private reading of a meditative lyric and the public performance of civic drama. Other projects in process include a handbook on Medieval Manuscripts and Literary Forms, an edited volume of essays entitled Late Medieval English Alabaster: A Reassessment, and a monograph provisionally entitled The Medieval Imagetext: A Literary History of the Book of Hours. 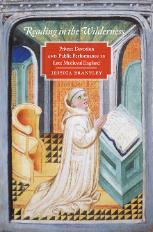 Reading in the Wilderness: Private Devotion and Public Performance in Late Medieval England. Chicago: University of Chicago Press, 2007.